Here are the four players that are likely to be threatening in 2016: Jack Sock, Steve Johnson, Benoit Paire and Pablo Carreno Busta. These guys are capable of both winning a slam and losing to an unknown. Let’s start with the Spanish youngster who stands at 67 in the world. We mention him in this article due to this past merits. Pablo is a very gifted player but unfortunately it takes him too long to fulfill his potential. He lacks solid physical form to become a second David Ferrer and has no decent attacking and serving tools to substitute Nicolas Almagro. As a result, the Spanish got stuck somewhere between a defensive and attacking players. One the one hand, he can show any element but with no lucrative shine. It’s quite probable that Carreno Busta won’t find his own way on men’s tour and will stay somewhere in top 30-40. But what if not? Anyway, his age and his home base are very reliable and can help the Spanish pro to live up to his high potential. Jack Sock and Steve Johnson have been full of surprises. Especially, Johnson. His forehand shots and serve are on the top-10 level already. Yes, the backhand wing is still rather poor but it’s evident that the American has been working hard to improve it. Shall Steve hone this element, he’ll become highly competitive and will threat any player on tour. Now onto Johnson’s countryman. Jack Sock is more unpredictable. The America’s tennis hope plays authentic, strong and powerful tennis but his backhand is too bad. Moreover, most of his troubles lie in his mentality. Jack is very fragile and can hardly stand out even against close opponents, to say nothing about elite stars. Sometimes he’s too aggressive and his tactics is too weak and lacks diversity. Nevertheless, we should admit it that Sock is a very powerful player who is able to swing away 70% of rivals by putting a lot of pressure on them. As for us, we go with Benoit Paire. The French is an unexpectedly efficient player. 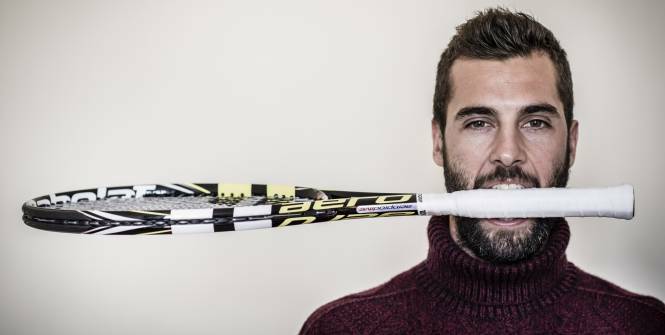 Possessing one of the best backhands on tour (hopefully, Andy Murray and Novak Djokovic won’t reach our article) and a weak forehand, Paire keeps the glory of the most illogical players. If only he learns to control his forehand, he’ll be a tough cookie to crack. His play is aggressive and unpredictable enough to frighten any opponent. When in good shape, the French male can beat anyone, which he has proved for a number of times. The issue is that Paire can hardly be analyzed. Paire would make headlines with the focus on what he’ll do next: smash a racket or tanking a challenger. And this is the main reason why we tend to like him and back him. And wish Santa presented him with a decent forehand. Having said all this, Dotennis team advise you not to lose sight of the underdogs and dark horses in the coming 2016 season.